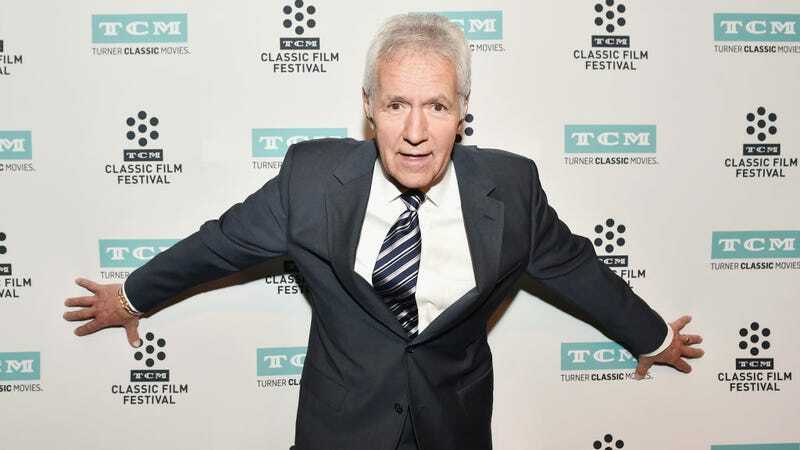 To celebrate his 34th year at the helm of the popular quiz show Jeopardy, Alex Trebek did what any veteran game show host would do, and assured his loyal viewers that he had once gotten very high. Of course, this little tidbit was just part of a larger interview with The Daily Beast about his storied career and lingering aspirations, but somehow all those other anecdotes seem less important after you hear the 77-year-old mild-mannered host once wolfed down a batch of pot brownies. It has the potential to be the be-all-end-all dorky dad story about the wild days of the 1970s, but Trebek insists it was all just a big mix-up. Good night, Austin Rogers, sweet prince of Jeopardy!